A very short entry-level course. #1-3 fairly open and grassy. #4-8 woven through a thick stand of Brazilian pepper trees, with plenty of shade. 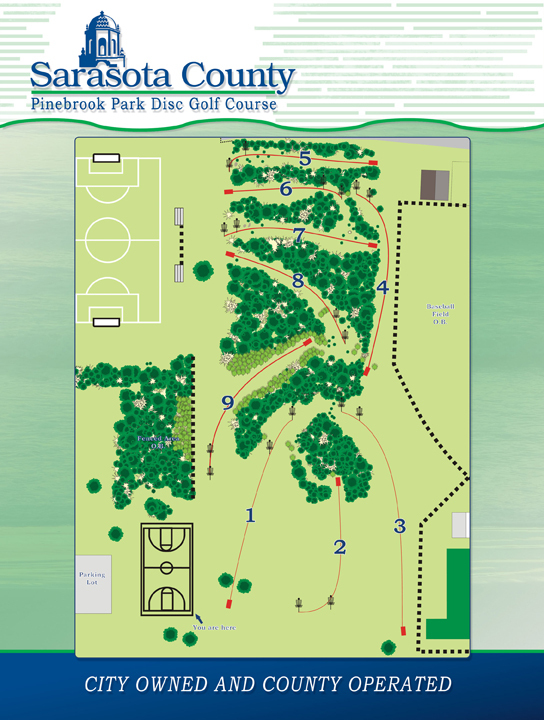 Course sits between a ball field and croquet to the south with tennis, basketball and soccer to the north. A fun up-shot and putting course (Drivers not recommended). Added contact: Gregg Hosfeld (407) 701-9058. I-4; exit 195 (Laurel Rd. ), west 0.3 mile to a left on Pinebrook Rd. 2 miles on left. Park at basketball court. 1st tee by corner of court by silver metallic box. Course is between ball field & croquet to the south with tennis, basketball and soccer to the north. Great course, maintained well, play it for the first time you want to play it again. 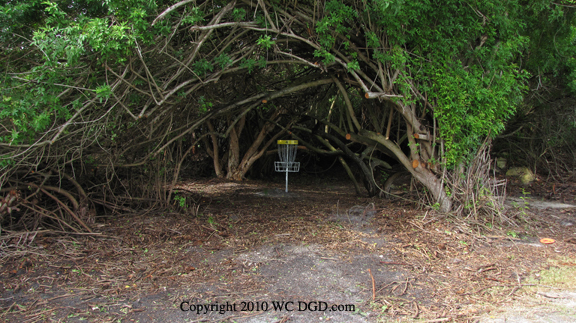 Short course fast playing, each hole has a unique challenge, will play anytime in the Venice area or passing through. I absolutely love this little park, it is perfect for beginners and great for intermediate and pro players who just want a relaxing practice round. Took my 6 year old brother to play for the first time here and he loved it, was great for him to learn with a lot of open space. Would recommend to anyone just starting out, only drawback is the occasional pedestrian wandering around the course in the middle of a game.